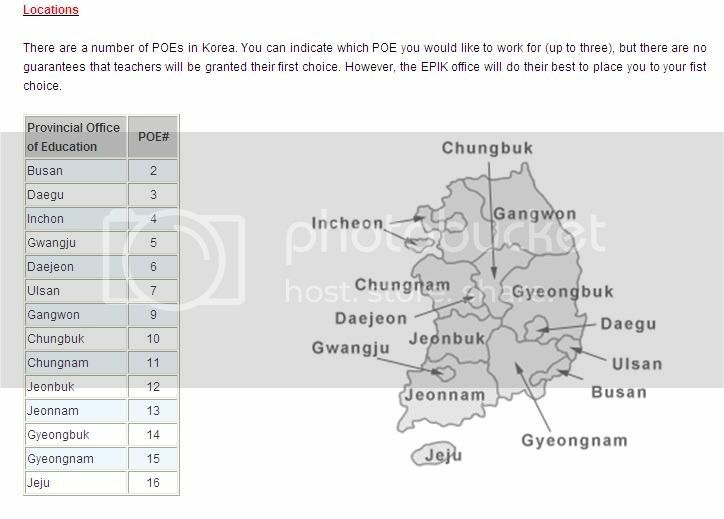 There are three main Korean government programs for providing English teachers for Korean public schools and they are divided into Seoul (SMOE), Gyeonggido province (GEPIK) and everything outside of Gyeonggido province (EPIK). Each of these programs are designed to place college educated native English speaking westerners in Korean public schools to teach conversational English. These programs normally have one western native English speaker paired with a Korean English teacher and they team teach and keep regular school hours. The benefits of public school jobs is the longer vacation (normally 4 weeks), government employee status and block hours. The downsides are that normally only one native English teacher is allotted per school, large class sizes and normally you do not know which school one will be placed in until after arriving in Korea. SMOE stands for the Seoul Metropolitan Office of Education organized and run by the government of South Korea. SMOE accommodates 2,210 schools with 1,573,684 students and 72,711 teachers. Its aim is to improve the English speaking skills of students and teachers in Korea and promote cultural exchange and strong global ties between Korea and the wider world. EPIK stands for English Program in Korea and it is a government-sponsored program to hire English teachers to teach English conversation classes in the public school system outside of Gyeonggido, which includes Seoul. GEPIK stands for Gyeonggi English Program in Korea. It was established in 2003, to provide English education to the region. There are currently over 1,000 foreign ESL teachers working for GEPIK. The number of English teachers working in public schools across Gyeonggi province is expected to grow to 2,000 by the year 2010.